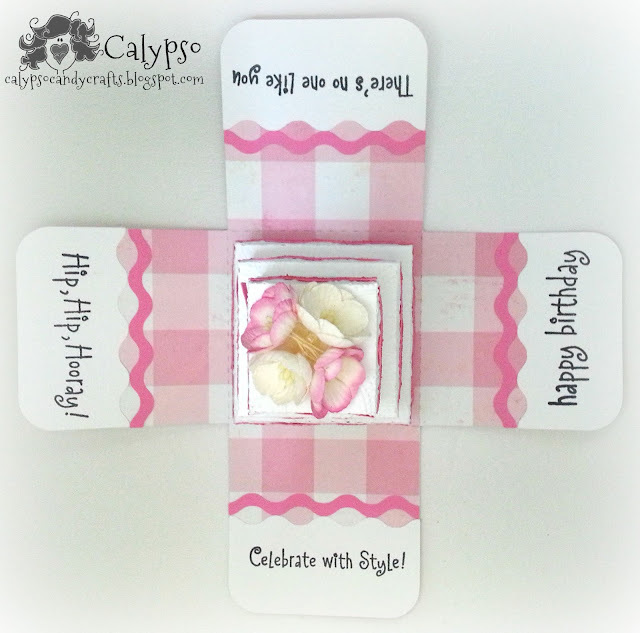 Welcome to the Surprise Birthday Blog Hop for Sandy!!! Sandy is having a birthday today! What better way to celebrate our fearless leader's birthday than with a crafty (surprise) hop!? 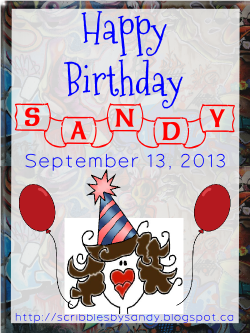 Every stop along the way has a surprise birthday project for Sandy created by each of her design team members. Sandy is such an inspiration to all of us and she has been so supportive and generous. 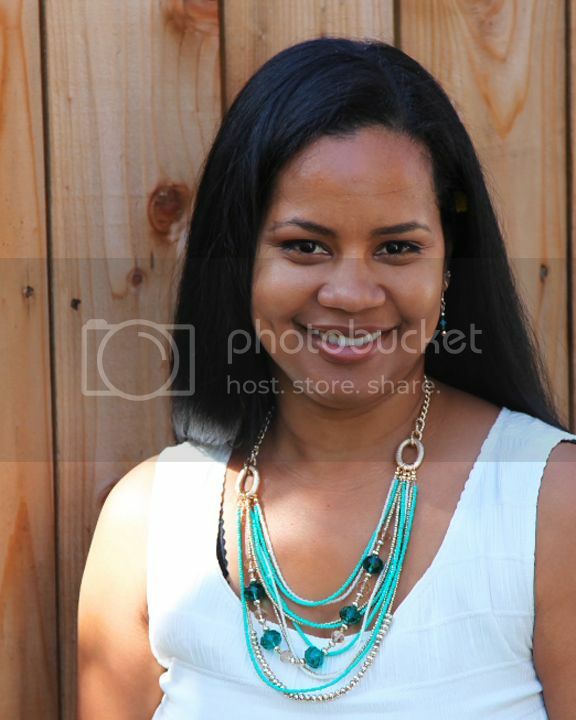 She's a great friend and a very talented and artistic woman! Happy Birthday, Sandy! This is absolutely fabulous. What a great surprise box! The top is gorgeous too. You have made a wonderful project for Sandy - love the cake. This is AMAZING!! Sandy is going to love this! wow totally stunning creation!!! love it. 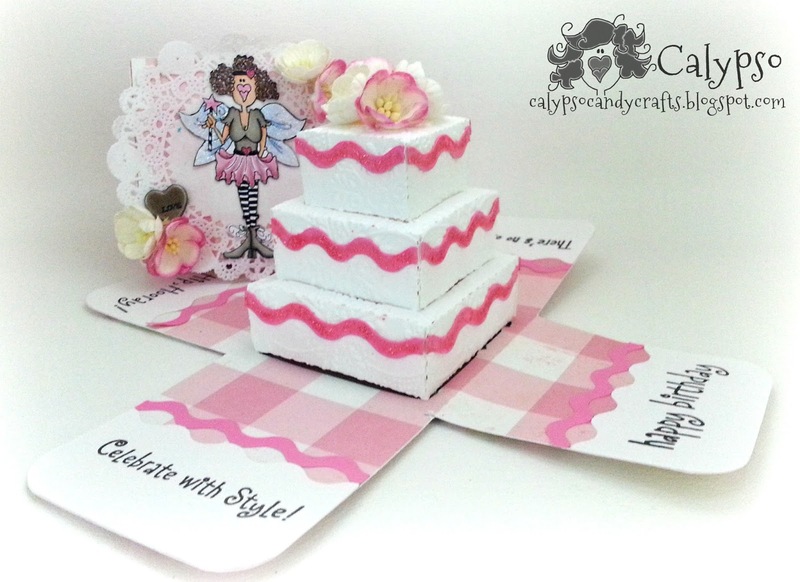 This is SO awesome, I've never even attempted a card like that, it's beautiful! I love that image too, I've never seen it before...so cute! OH WOW this is awesome! Thanks so much for joining us at The Sisterhood’s ‘DEVINE DIGIS’ challenge and please come back again soon! Chuckle, chuckle, chuckle, tiny snort. Seriously, that is actually what I did when I saw the top of your exploding box. 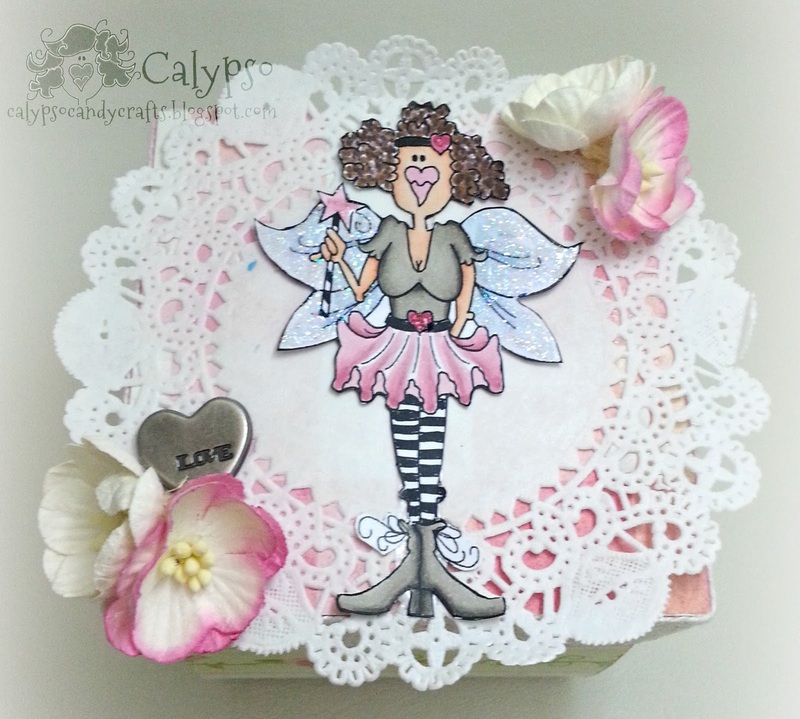 I love the image you chose for Sandy's creation and she looks like she is on a fluffy cloud with that beautiful doily backdrop. Now as my eyes went further down the page I'm truly just sitting here in a jaw dropping gaze. WOW, your project is simply amazing Calypso! As Cely said it is a card and gift all in one! Fun card. The image is lol funny! Wow, this is awesome. Love the image and definitely love that explosion box. Thanks so much for playing along with us in The Sisterhood of Crafters in our "Devine Digi's" challenge.